CRAZY COOL GROOVY!!! : OWN SERIES TRAILER - GREENLEAF: SEASON 3!!! Are YOU ready for OWN dramatic series GREENLEAF - SEASON 3??? Patti LaBelle will have a recurring role as Maxine Patterson, a famous Christian motivational speaker and the CEO of a global Christian self-help empire and an old college friend of Lady Mae’s (Lynn Whitfield). Patterson will also serve as her sounding board and greatest ally as Lady Mae attempts to consolidate her power at Calvary. Other guest stars include Dr. Iyanla Vanzant of OWN’s popular “Iyanla: Fix My Life.” She’ll be portraying herself and helping Charity (Deborah Joy Winans) finally find her place in the Greenleaf family. TV and film icon Beau Bridges will play Bob Whitmore, the folksy and charming founder of Harmony of Hope Ministries, a massive denomination with churches all over the world who will use any unsavory tool at his disposal to win. Will YOU be watching GREENLEAF - SEASON 3!!! GREENLEAF - SEASON 3 premieres with a two-night season opener Tuesday, August 28 - Wednesday, August 29, 2018; 10:00 PM EST on the OPRAH WINFREY NETWORK. #Greenleaf is back. Season 3, Aug 28 & 29. Calling all congregations! 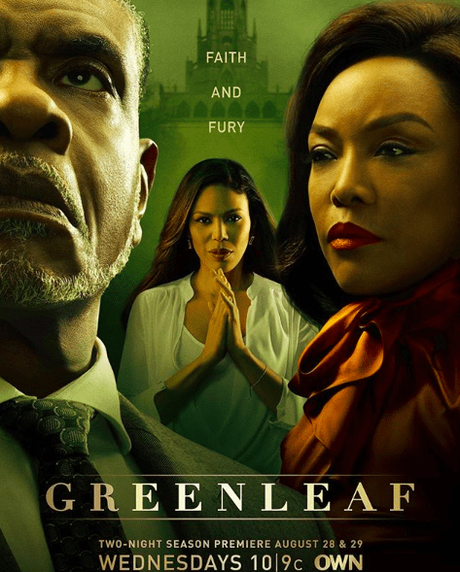 Does your church have the most faithful #GREENLEAF fans? We want to see! Take a video and get creative - preach, sing, whatever you want. Show us your Greenleaf-loving church family in all its glory. Submit at the link in our bio.